Contact Chris 027 240 8821 or visit https://www.tasmangolf.co.nz/team-golf/ to register. Nelson Golf Club welcomes golfers of all levels to come and play our beautiful course on the shores of Tasman Bay. Take advantage of the $99 offer which includes 3 full rounds together with a lesson with one of our top rated professionals. This represents a saving of $95. Why not become a member at Nelson. Whether you are new to golf or have just been away for a while; Nelson welcomes you with introductory offers starting from just $525 for a full adult annual membership. There is currently no waiting list or joining fee. Members of Nelson enjoy full access to a championship course in superb condition for 12 months a year.  Other benefits include online booking, NZ Golf Affiliation and reciprocal playing rights at courses all over New Zealand and abroad. Nelson is traditional links layout suitable for all levels. The club has recently realised an ambitious five year plan to recreate a true links experience. Hundreds of trees have been removed, exposing the undulating terrain and sweeping views. The natural humps and hollows of the fairways and revetted bunkers help create a spectacular seaside links course. The greens on this championship course are arguably the finest in the country. Nelson Golf Club was proud to host the 2014 NZ Amateur and February 2015 we also hosted the NZ Senior Championships. Total Golf:- Come and explore Nelson Professional Glyn Delany's first class pro shop and coaching facility.